Need a place to display your address? Do you want it to stand out? Why not a rock? Even better, a lightweight, hollowed out, fake landscape rock? You can even use it to hide a well head or any other unsightly thing in your yard or garden. Place it next to your shrubs and flowers, where it will feel at home. These rocks are coated with a UV-resistant finish for long-lasting performance. You won’t have to worry about the color wearing off or sun damage. Worried about the quality? Outdoor Essentials includes a 5-year limited warranty, so this purchase can be completely painless. How painless? 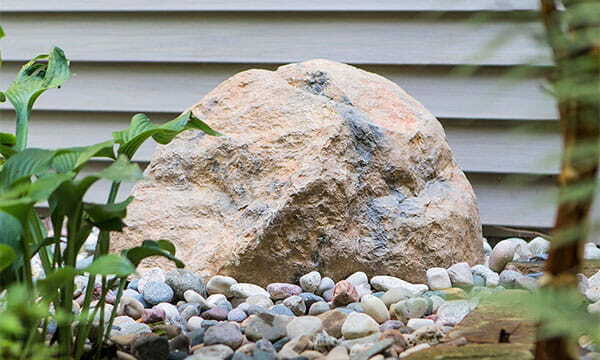 The Outdoor Essentials address rock weighs under 12 pounds, so YOU can install it. Wherever you want, whenever you want. You have the power. Go rock your yard!